‘I just accepted that this was how it was going to end,’ she said after she was told she was going to die. A DUBLIN WOMAN who was attacked by her ex-boyfriend said she thought she was going to die after she was asked whether she wanted to be stabbed or shot. Barry O’Donoghue was sentenced to five years imprisonment last week, after being found guilty of assaulting and threatening to kill his former partner Kerrie Gamble. In recent days, the young woman posted photos online of her injuries following an assault in October 2016, in a bid to stand up against domestic violence. Speaking to Ray D’Arcy on RTÉ Radio 1 today she recalled being knocked to the ground and kicked repeatedly in the head after she met O’Donoghue to discuss details about the house they had shared together. “I went over and a small argument broke out and I just thought I’m leaving,” she said. “I went into the hall and I tried to leave and he pulled me back from the hall door and threw me on the ground, and that’s when he started kicking me on the head and the face. “He then proceeded to stamp on me as well [...] and when I looked at my leg because that stayed on me until after Christmas you could see the swirls of the pattern of the bottom of his runner. “Everyday I had to look at that getting into the shower and it was awful at the time, it was so hard,” she said. Gamble went on to describe how O’Donoghue had told her he was going to kill her and asked how she would like to die. “He told me that ‘I had been planning to kill you for two years’ and said ‘I’d been thinking about this, it’s all I’ve been thinking about every day’. “When he told me I was going to be executed that night, he told me that I could choose whether I would be stabbed – and was standing there with a red kitchen knife in his hand – or he said he had met somebody that had a gun. “I could choose whether I was full force shot in the face or from behind, and I believed him that this was going to happen – and I picked from behind so I wouldn’t see it coming,” she said. “I just said nothing. I didn’t plead with him for my life because I knew he would get enjoyment out of that and I knew it would make it worse. “I just accepted that this was how it was going to end,” she added. 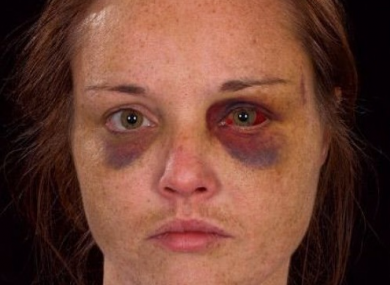 She said she had decided to speak of her ordeal and publish photos of her injuries to stop her from being silenced and to encourage others to speak up against domestic abuse. “I published those photographs because I felt any embarrassment by publishing them paled in comparison to the fact that my silence was taken from me by Barry. “I felt that the years of abuse that I suffered from him were fueled by my silence and then by saying nothing I allowed that to continue on. “I felt this was a way of taking back my silence,” she said. Email “'I just accepted that this was how it was going to end': Victim of domestic abuse recalls horror attack”. Feedback on “'I just accepted that this was how it was going to end': Victim of domestic abuse recalls horror attack”.